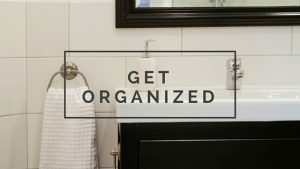 Having a roommate can be tricky business, if you’re sharing communal space such as the living room, kitchen and fridge, you most likely have come up with a system that helps things go smoothly. But what about sharing a bathroom? With limited space, finding something that works in this area of your home is an absolute must! Especially if you want to prevent a frustrating experience. 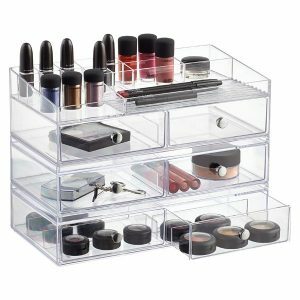 Below we list three options from The Container Store to help you get organized in a small, shared setting. 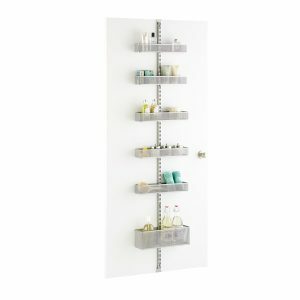 Door And Wall Rack The great thing about this rack is that it can be placed on your bathroom wall or door in a vertical position. Which is usually space that isn’t taken up anyway. If cupboard or shelf space is limited, something like this instantly takes care of the problem. You can hook on a variety of basket sizes and it only takes a few minutes to install! Clear Plastic Stacking Trays Got the cupboard space, but no shelves? 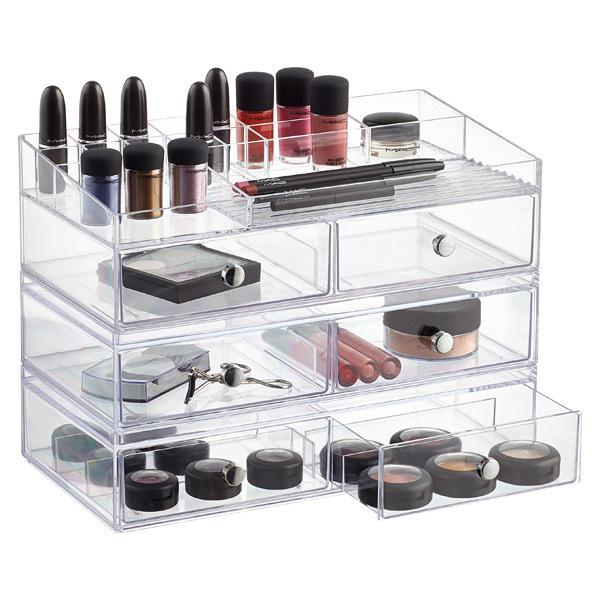 This option is great for organizing shared cupboard space. It allows you to stack as many trays on top of each other that will fit. And best of all prevents the smaller toiletries and cosmetics from getting mixed up. Expandable Under Sink Organizer This handy dandy organizer does exactly what it’s name implies! 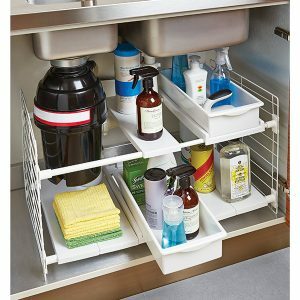 It has expandable shelves on its own rack that you can adjust in size to fit your under sink area. The sink cupboard can be a space that isn’t used properly due to lack of organization. Stick one of these in there and you have got yourself a set of shelves and some much needed extra space! If you are living in a small apartment or have a roommate, we hope you found these tips helpful! Or if you are still on the hunt for a place to call home in the Austin area, give us a call at 512 258 8224. We would love to help you get set up, and it’s absolutely free!